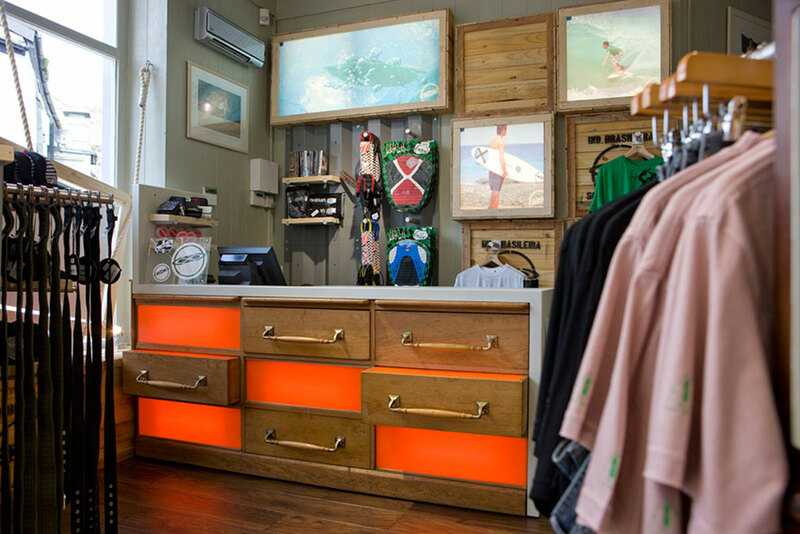 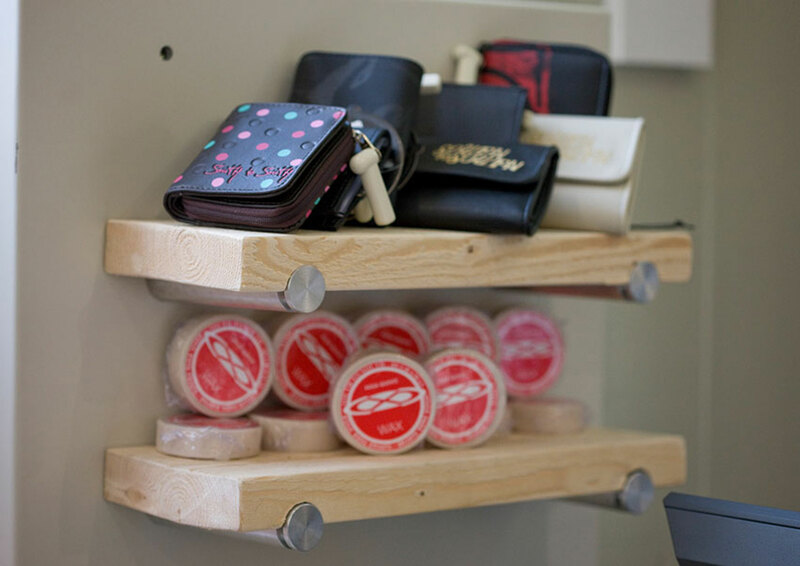 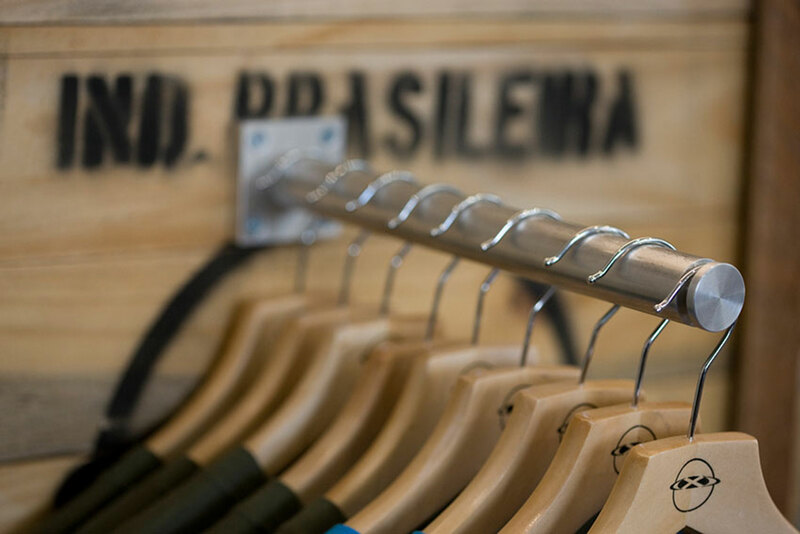 The brief was to create a international cargo-inspired surf shop, linking Cornish surfing with the Brazilian South to South surf brand. 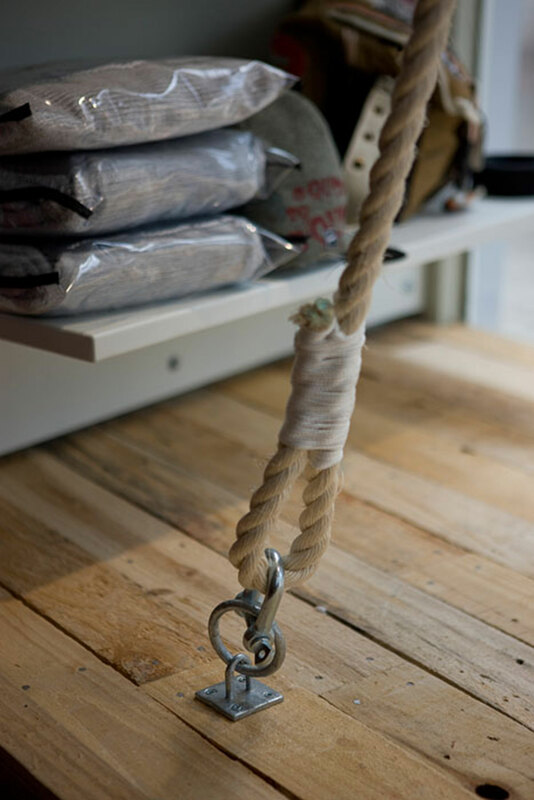 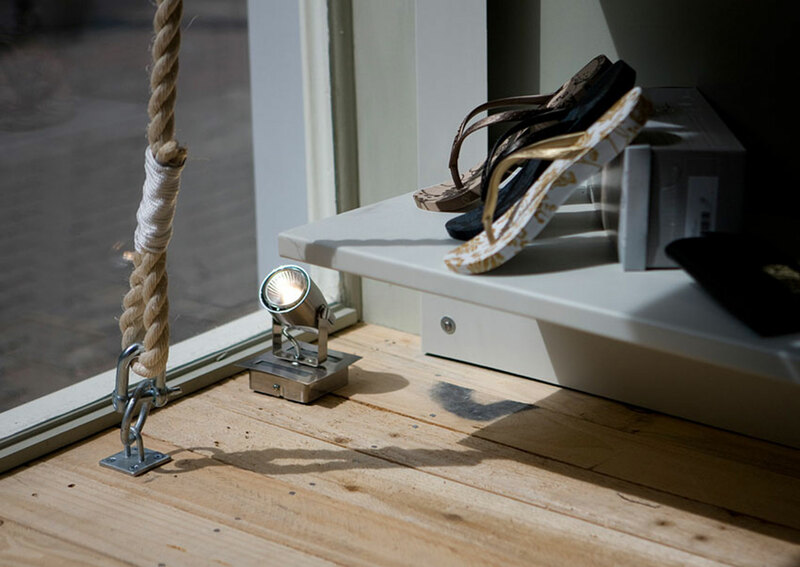 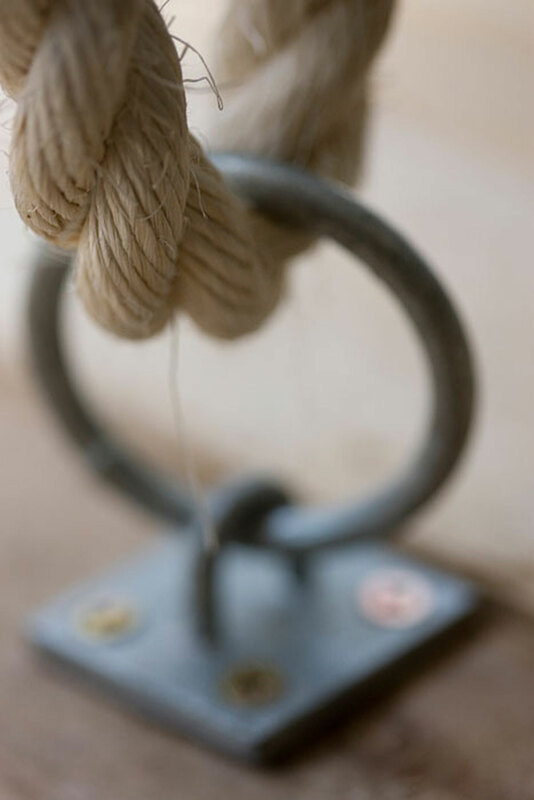 Using reclaimed wood, furniture, rope and aluminium we chose a design to highlight the original character of the shop, adding modern and industrial elements and reflecting the feeling of maritime cargo. 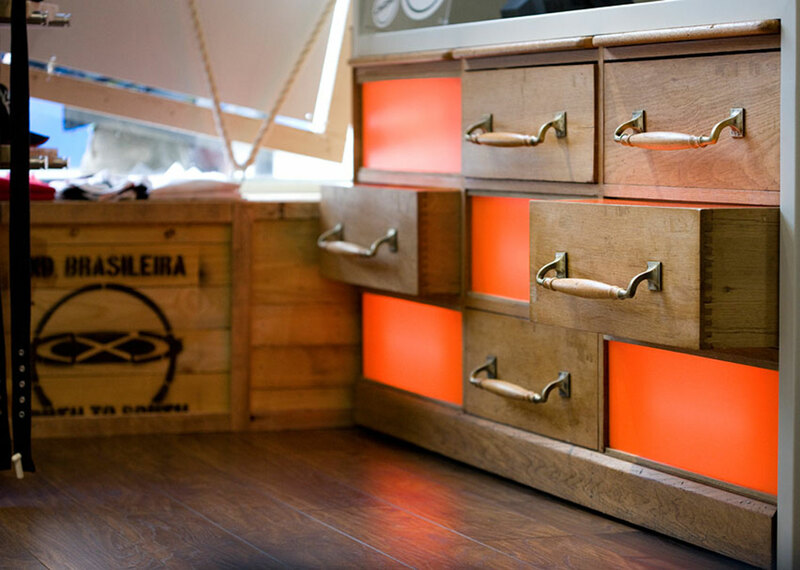 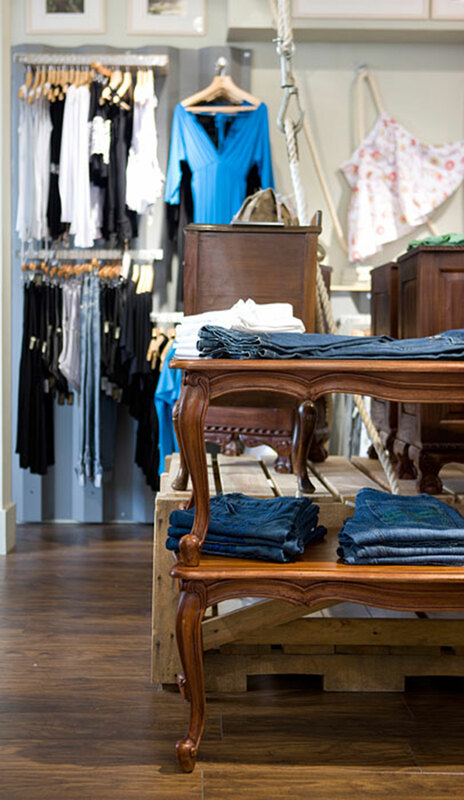 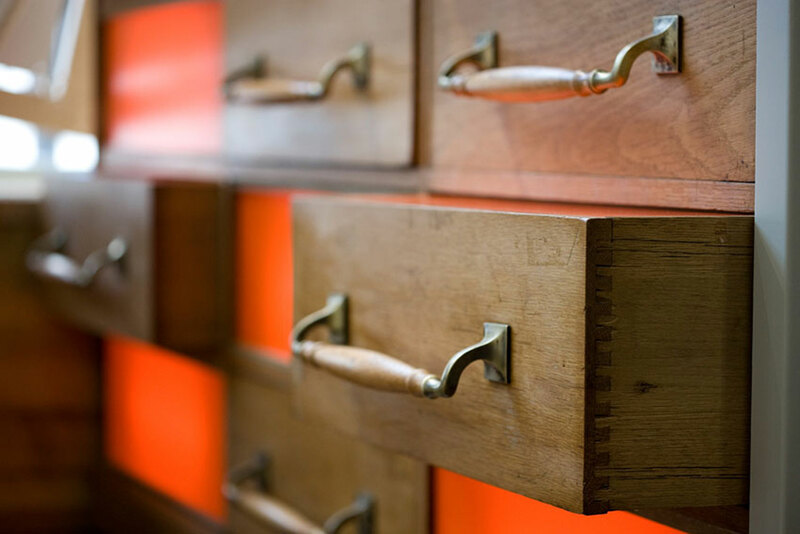 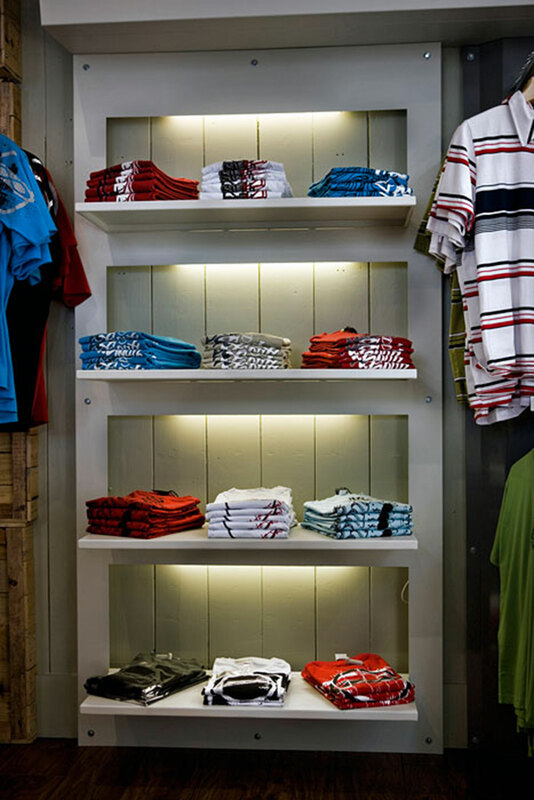 The retail counter is a reclaimed chest of drawers, found at a warehouse and refitted with bright orange inserts and lighting to become a real focal point.